China has a population of nearly 700m online users, out of which 47% use mobile devices to access the Internet. With the market penetration of 45%, China is one of the fastest growing online market in the world. Will they convert, though? Yes, in 2014, Chinese users made purchases totalling 2.9 trillion RMB. That’s twice as much as the (official) US military budget. Oh, and a third of the purchases was made on mobile devices. Forget about translations. In order to approach Chinese users effectively, you have to think as a Chinese user. ‘The simpler, the better’ rule doesn’t apply here. Chinese users have their own idea about ‘nice design’ and ‘valuable content,’ so you’ll have to make the website from scratch. Preferably with the help of a local native speaker or a local web designer. The research I have done shows that websites hosted in Mainland China have a better chance to rank. So, you should too consider moving your website to a Chinese hosting. You have to get an ICP record first. Also, both users and Chinese search engine Baidu are perfectly fine with .COM domains. In China, a lot of big western social networks are blocked, so there is no point in using them. E.g. Facebook, Twitter, Reddit, Instagram, Pinterest etc., these all are not working for the users behind the Great Wall. Go with local networks such as Weibo, WeChat, Baidu Tieba, Baidu Baike, Baidu Zhidao etc. 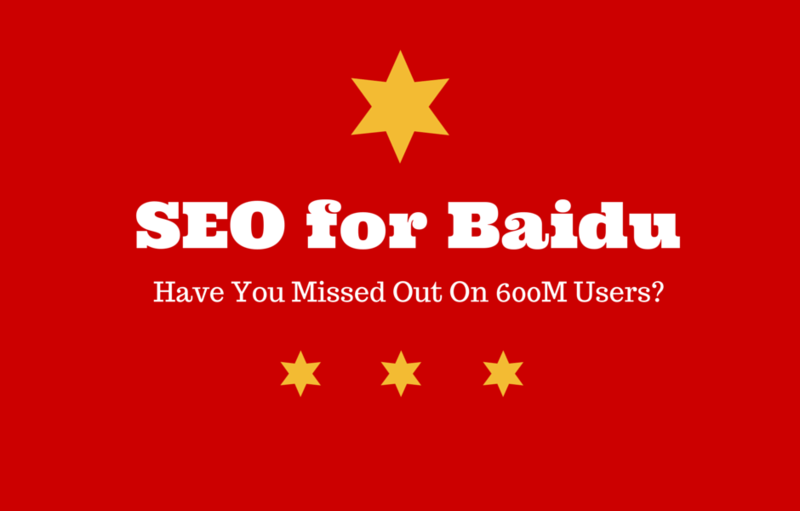 Don’t get stuck trying to convince Baidu to index or rank your site: it could take months. Explore and make use of local channels and get some valuable traffic from real conversations. ← Do Search Engines Prefer Locally Hosted Websites?